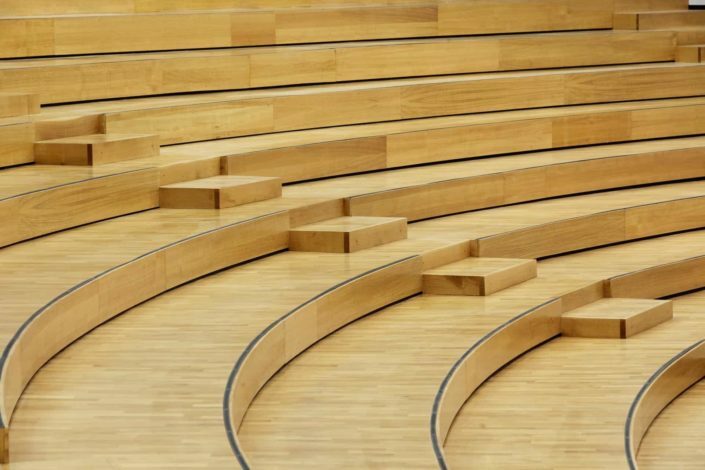 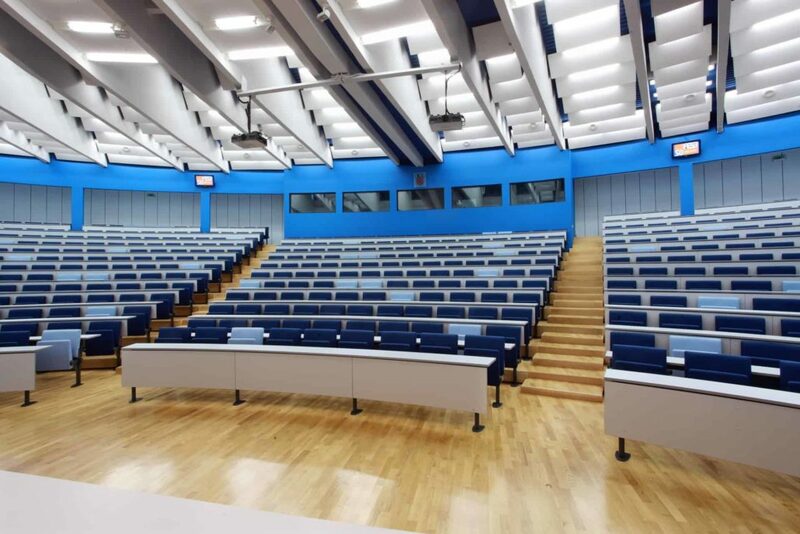 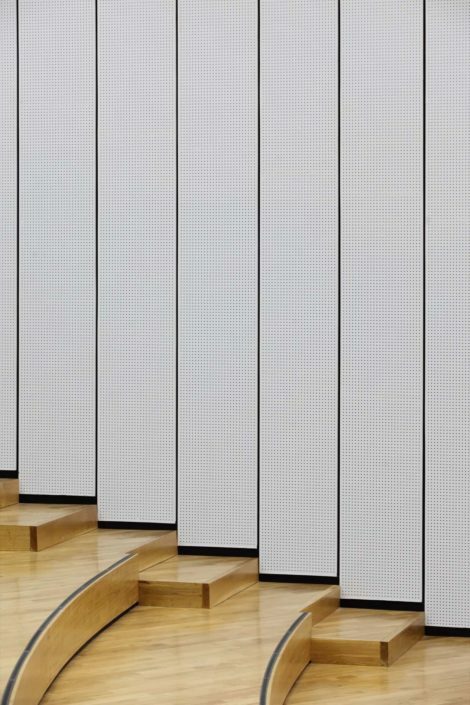 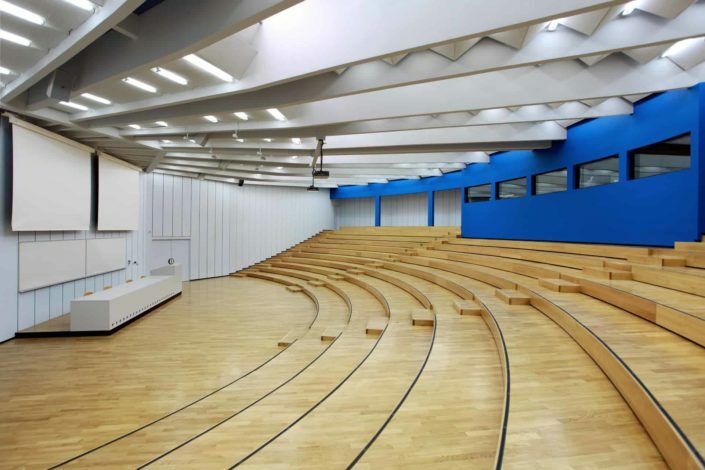 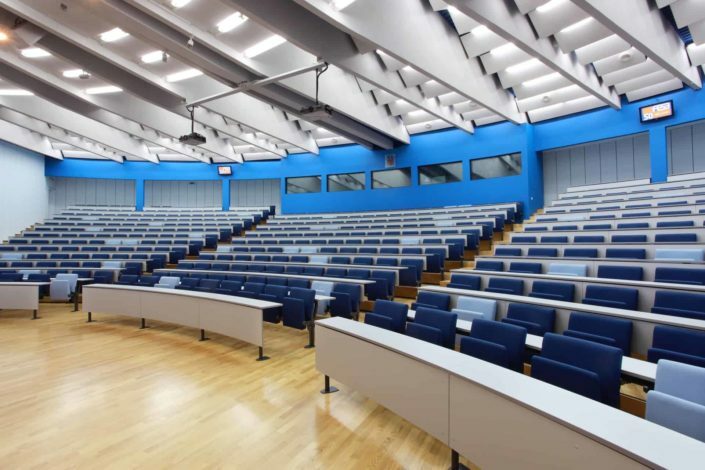 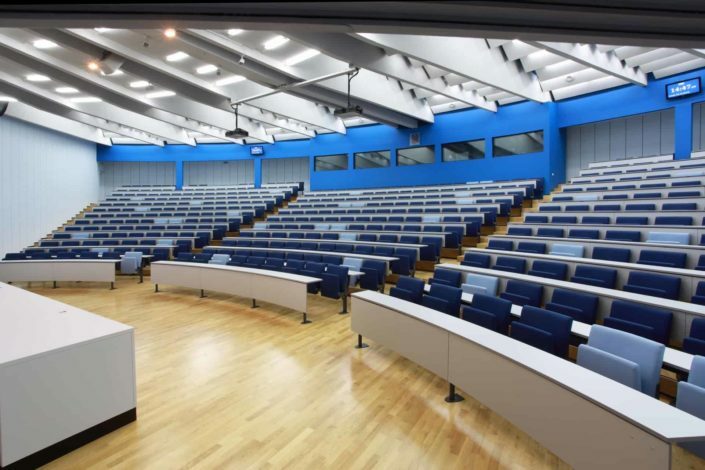 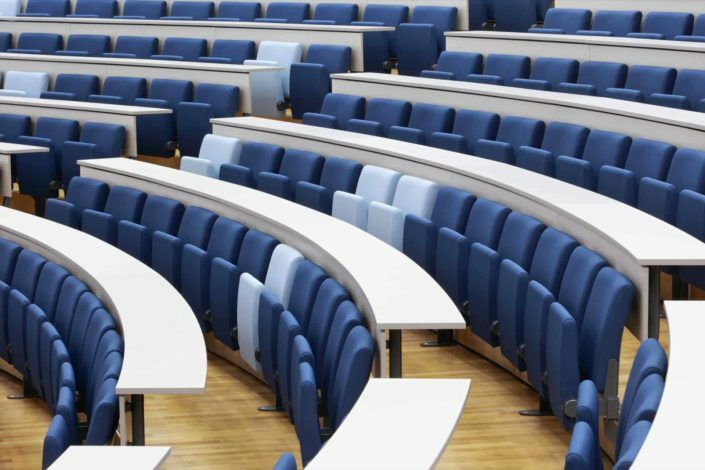 The subject of this solution is a redesign of the Main Auditorium at the Faculty of Electrical Engineering, Mechanical Engineering and Shipbuilding in Split. 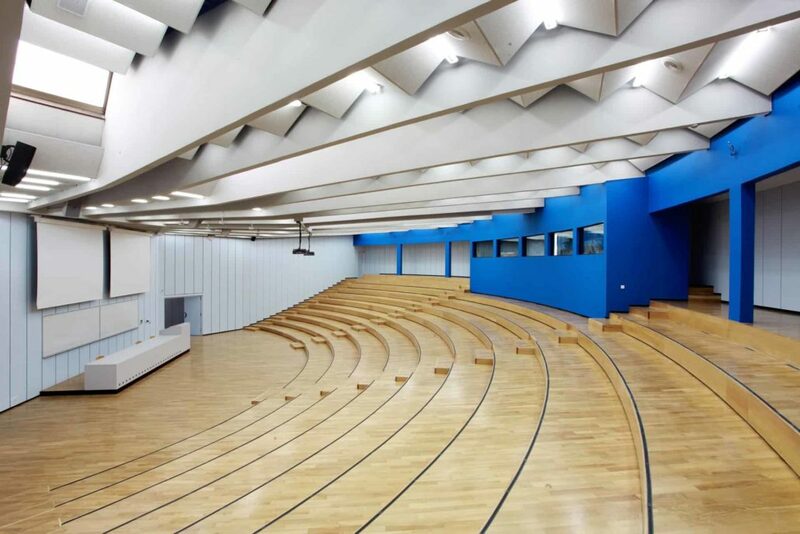 The current project is the work of architect Lovro Perković in 1979. year. 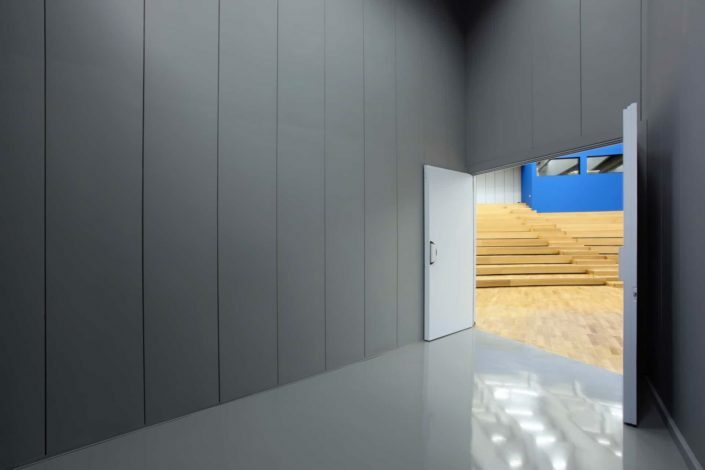 The main problem in solving this task is the attitude towards the existing architecture, and the question of how to, at the same time, preserve and enhance its existing high quality at the same time. Given the limited budget, the existing relation between the dark narrow hallway and playfully illuminated lecture hall is amplified with exuberant bright colorist accents. 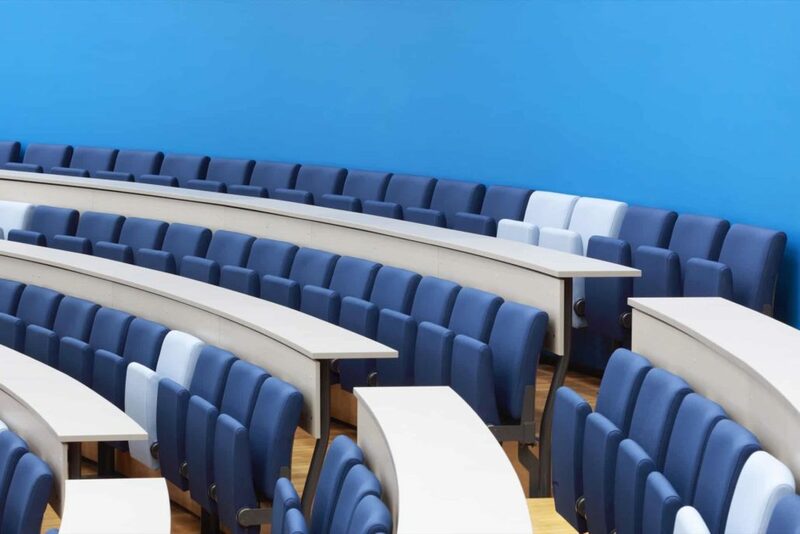 This creates a contrast of two spaces with the use of various colors of upholstery seating, and a blue, emphasized, wall opposite the rostrum. 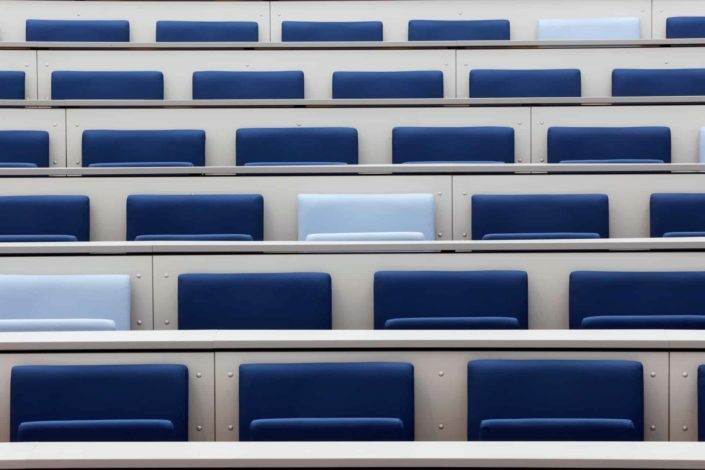 The playfulness and relaxed interior color of the classroom are involved primarily in boosting contrast and the emphasis in the relationship of inherited forms of decoration.